Manchester Road Race, from start …. to heading towards the finish line on Main Street. New this year to the Manchester Road Race is a Veteran’s Row. According to race organizers, veterans will gather between 8-9:30 a.m., the morning of the race on Thanksgiving Day at the Vietnam Memorial. The memorial is located at the top of Main Street, near East Center Street. Runners who indicate they are veterans on their registration form with be given more details. As of 7:30 a.m. 11/18, the total number of registered runners was 11,788. 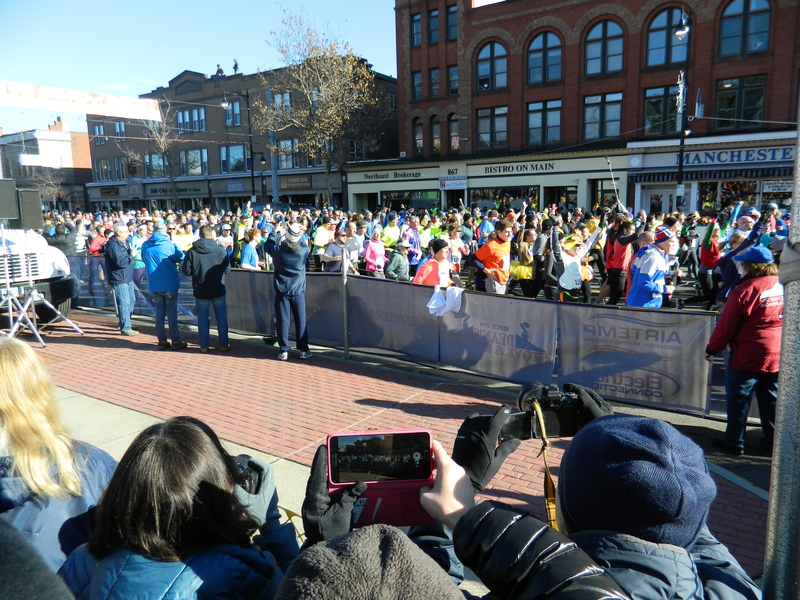 In its 82nd year, the MRR is a popular holiday tradition attracting elite runners from across the globe, as well as, generations of area families who continue to participate. at least 12,000 registered runners are expected plus unregistered runners typically blend in once the event gets underway. 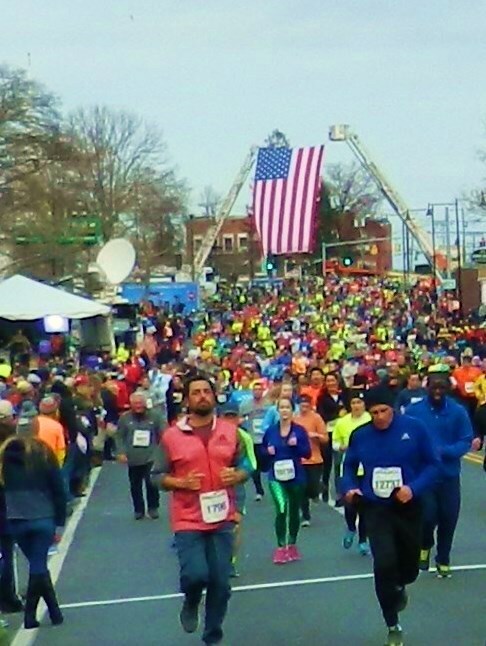 Thousands of spectators line the streets to watch this 4.748 mile footrace. Organizers note that the safety and security of participants and spectators remains a priority. The Manchester Police Department will reportedly have virtually all of its officers on duty. As usual, the race is slated to begin promptly at 10 a.m. Good luck runners!